Welcome to The New Edge home page. The New Edge features 2 hours each week of mostly instrumental creative new music, composed and improvised at the intersection of classical, jazz, and world styles. Diverse musicians and composers interviewed on The New Edge have included guitarist John Abercrombie, the band Adelaide, saxophonist Mellisa Aldana, pianist Tristan Allen, violinist Francesca Anderegg, sound artist Ellen Band, pianist/composer Nik Bartsch, new music presenter John Bechard, cellist Maya Beiser, violinist Joshua Bell, composer/clarinetist Derek Bermel, multi-instrumentalist Alexander Berne, saxophonist Tim Berne, composer/vocalist Lisa Bielawa, producer Martin Bisi, improvising keyboardist Dave Bryant, guitarist/composer Brendan Burns, pianist Sarah Cahill, composer Eric Chasalow, composer/pianist/audio technologist David Chesky, violinist/arranger/composer Jeremy Cohen, keyboardist/bandleader Chick Corea, pianist/bandleader Bill Cunliffe, clarinetist/composer Beth Custer, Italian pianist/composer Ivan Dalia, composer Anthony Paul DeRitis, pianist Simone Dinnerstein, from Morocco the El Arabi-Serghini Trio, clarinetist/composer James Falzone, bassist Michael Formanek, pianist/composer Laszlo Gardony, pianist/composer Tord Gustavsen, Armenian pianist & composer Tigran Hamasayan, pianist/composer Mitch Hampton, Pulizer Prize winning composer John Harbison, drummer/composer/bandleader John Hollenbeck, flautist/composer Hiro Honshuku, composer Robert Honstein, tabla master Zakir Hussein, composer/pianist Vijay Iyer, sound artists Christopher Janney, guitarist Glenn Jones, Iranian composer/musician Kayhan Kalhor, violinist Tanya Kalmanovitch, guitarist/composer/instrument designer Kevin Kastning, composer Darrell Katz, shakuhachi master Yoshio Kurahashi, multi-instrumentalist Jonathan Lamaster, cellist/composer Daniel Levin, flamenco guitarist Ottmar Liebert, composer/pianist Erik Lindgren, saxophonist/composer Charles Lloyd, composer/pianist Moira Lo Bianco, Parma Recordings owner Bob Lord, saxophonist Jessica Lurie, composer & technologist Tod Machover, composer Keeril Makan, saxophonist Donny McCaslin, pianist/composer Myra Melford, guitarist/pianist/composer Roger Miller, drummer Michal Miskiewicz (Tomasz Stanko), composer/conductor Butch Morris, composer/guitarist David Nichtern, percussionist Brian O'Neill, composer/pianist Fernando Otero, drummer Toss Panos, composer/multi-instrumentalist Richard Reed Parry, composer David Rakowski, guitarist/composer Jussi Reijonen, new music duo RighteousGIRLS (Gina Izzo & Erika Dohi), Boston Modern Orchestra Director Gil Rose, composer/saxophonist Mathew Rosenblum, multi-genre violinist/composer DBR (Daniel Bernard Roumaine), percussionist Adam Rudolph, musician/composer/actor Ryuichi Sakamoto, ukulelist & composer Jake Shimabukuro, composer & pianist Robert Sirota, trombonist Brett Sroka, Polish trumpeter Tomasz Stanko, pianist Bobo Stenson, saxophonist/composer Colin Stetson, ney player Fred Stubbs, bassist Steve Swallow, composer/guitarist David Torn, guitarist/composer Ralph Towner, fiddler & electronic musician Dan Trueman, composer & music theorist Dmitri Tymoczko, composer Ken Ueno, saxophonist Laura Venditti, composer Patricia Van Ness, vibist Marc Wagnon with bassist Percy Jones, composer Scott Wheeler, percussionist Ken Winokur, composer Conrad Winslow, composer Scott Wollschleger, bassist Randy Wong, clarinetist/composer/gamelanista Evan Ziporyn, four-handed piano duo ZOFO (Eva-Maria Zimmermann and Keisuke Nakagoshi). Look here for an interview about the show on Great Evolving Sound with Jeremy Meserve. You can hear The New Edge on 88.1 FM, WMBR, Tuesday afternoons from 2-4pm EST. 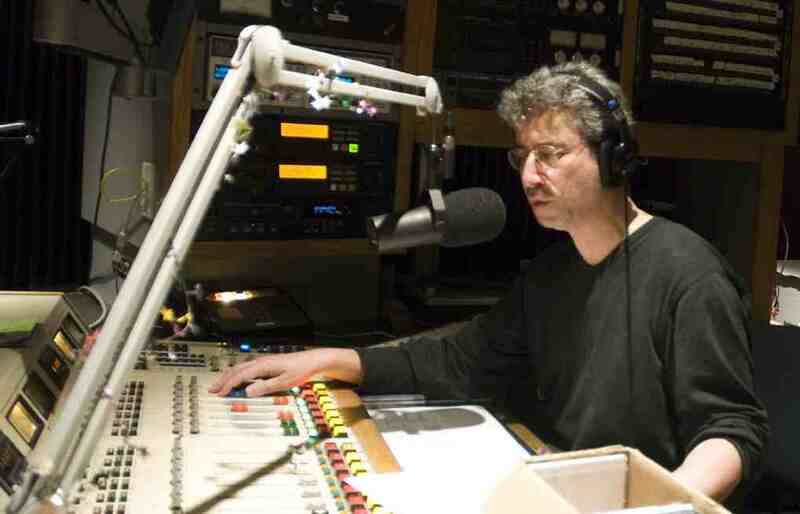 WMBR's broadcast signal is heard throughout the greater Boston area, and worldwide via the internet. From June 2008 - June 2016, you could also hear The New Edge on taintradio.org. You can view weekly playlists for The New Edge beginning at the show's inception in August 2002. Comments to newedge@wmbr.org. Copyright (c) 2003-2016 Ken Field. All rights reserved.